Is it a coincidence or is it a sign? 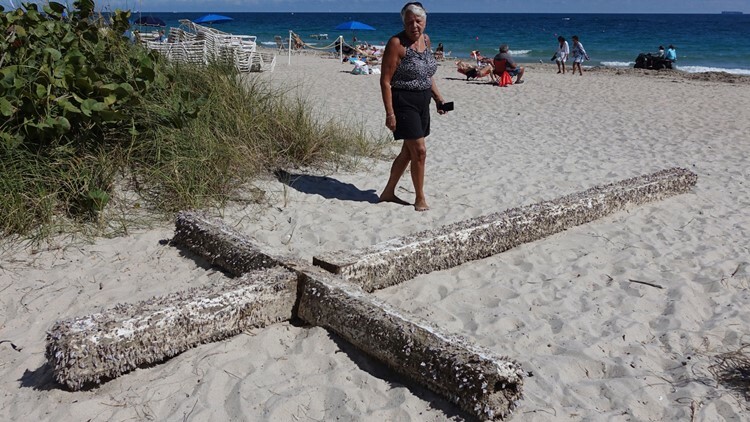 FORT LAUDERDALE, Fla. — A few days ago, a large, barnacle-covered wooden cross has washed ashore along a South Florida beach, captivating tourists who dragged it from the water's edge. 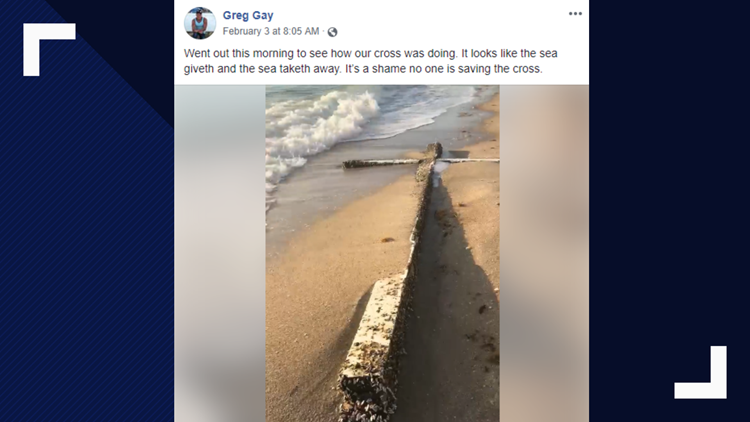 Greg Gay posted this video of the cross washed up on his Facebook page. The story and photo also captivated many people on Twitter. There was clearly a line drawn between who sensationalized and speculated divine intervention and those who used logic. There may now be an answer to the mystery connecting the cross to North Carolina.